I may not have worn a ribbon in my hair, but I left a piece of my heart in San Francisco. Something about the city felt so familiar…Perhaps it was the Melbourne style hipster coffee shops, the buzzing restaurant scene or just the cultural diversity, but there was something about San Francisco which had me craving more. Here’s a wrap of our recent stay at the Intercontinental Hotel in San Francisco. The Intercontinental Hotel San Francisco is a contemporary five-star hotel located in the heart of San Francisco in. 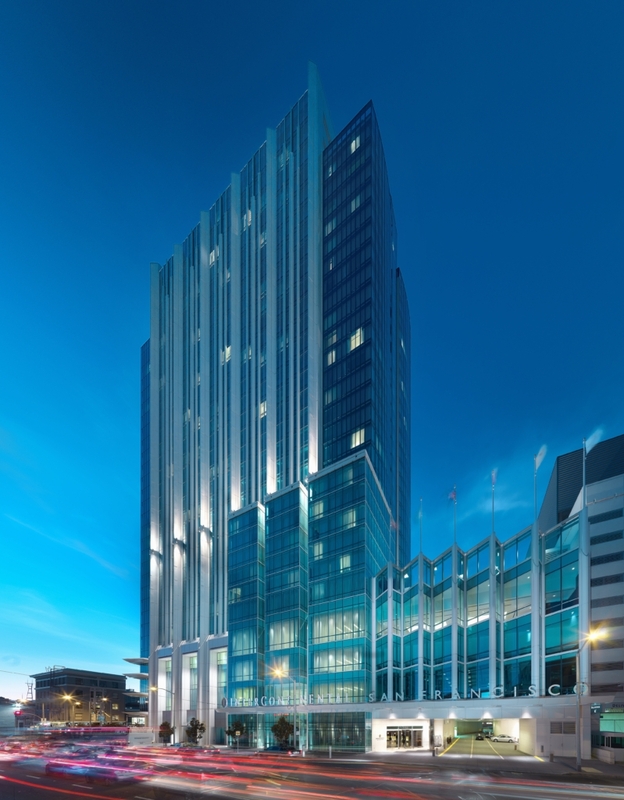 Soaring 32 floors, the hotel is a visual feast of translucent cool blue and floor to ceiling glass. Combining modern features, breathtaking views and an unrivalled location, the hotel really has it all. It’s no surprise that the hotel is one of the city’s most admired landmarks. 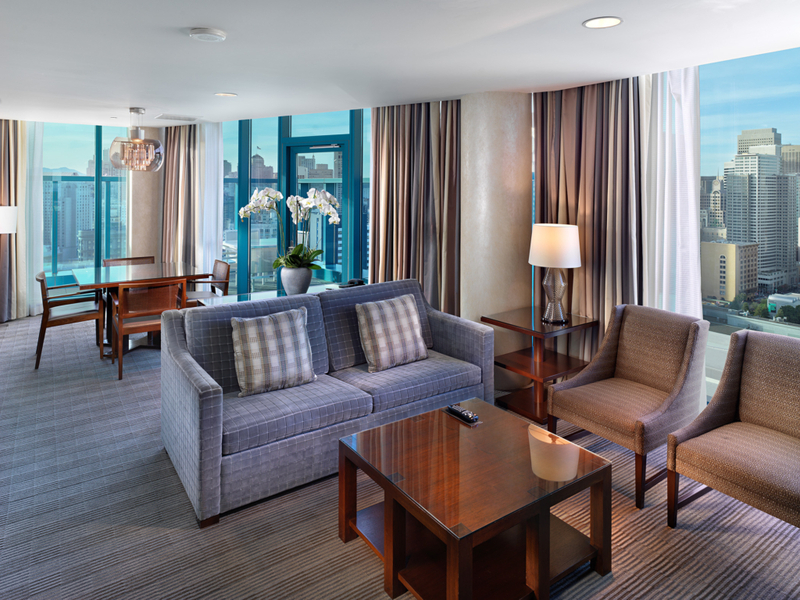 Nestled in the heart of the South of the Market (SoMa) district, the Intercontinental Hotel is conveniently located near Union Square and many of San Francisco’s leading attractions. The SoMa district is a buzzing neighbourhood full of restaurants and bars, shops, and cultural attractions. 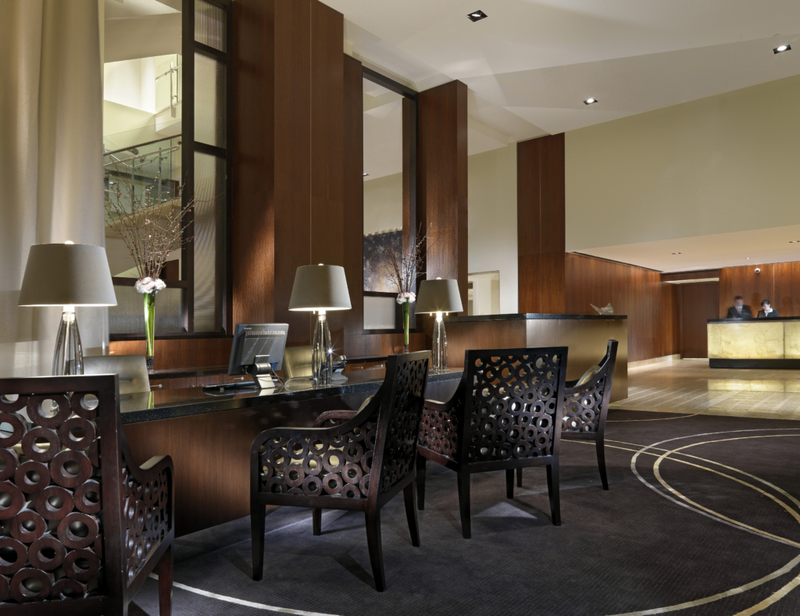 Upon entering the light filled open lobby, the hotel simply oozes sophistication and style. 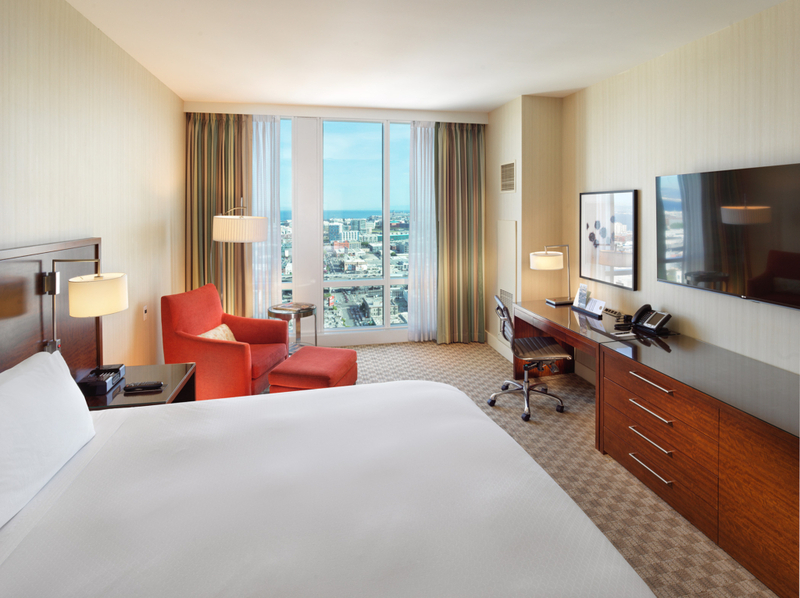 Most of the 550 hotel rooms (all non smoking) offer impressive views over the city and San Francisco Bay. But there’s no beating the 14 duplex Presidential Suites! 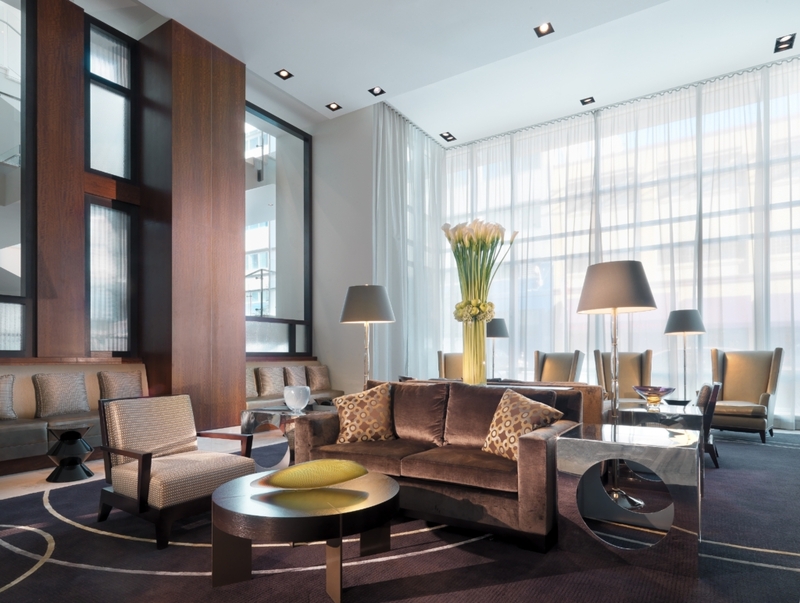 Although it’s a large hotel, it doesn’t feel cramped or crowded – and each room is spaciously designed. If you’re feeling like some extra rest and rejuvenation one of the best features of the hotel is a 10-room spa offering a comprehensive array of exquisite treatments and signature experiences. Or if you’re looking for a more vigorous workout (or a chance to work off all that delicious food in San Francisco) you can enjoy the indoor heated lap-pool or fitness center inside the hotel. We stayed in a King Bed Corner Room which was 365 square feet in size and featured two walls of floor to ceiling windows which made the room feel very light and bright. The views were absolutely incredible! Each room is appointed with rich wood and marble features and super stylish furniture. The service at the hotel was always attentive and friendly. The check-in was seamless and one of the hotel staff even took the liberty to guide us to our room and inform us of all the facilities. The concierge was always happy to provide us with tips of good restaurants and cafes in the area. Other services the hotel offers includes complimentary luxury sedan service, baby-sitting, dry cleaning, foreign currency exchange and a comprehensive business centre. Michelin-starred Luce Restaurant offers guests American- style breakfast and lunch . It also doubles a destination wine restaurant for dinner where you can also enjoy a tantalizing Grappa cocktail at Bar 888 located on our lobby level. Rooms are available from $189 USD. Wow, this place looks like a dream…..
An amazing place! Absolutely love San Francisco as a city as well – really great food too.